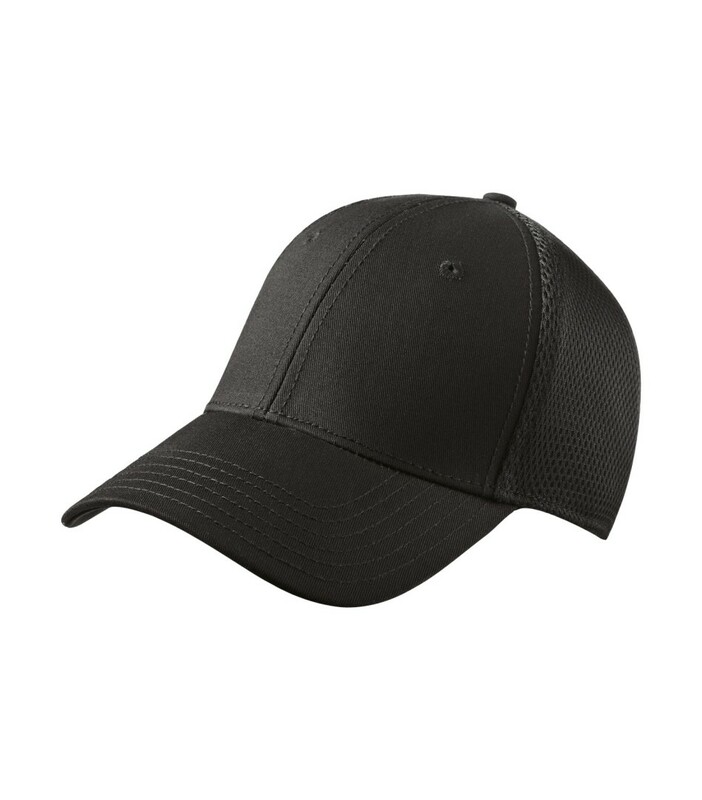 Ideal for outdoor special events, this breathable custom cap features 100% cotton twill in the front two panels with 100% polyester spacer mesh in the mid and back panels for ventilation. 100% cotton in front two panels with 100% polyester Spacer Mesh in mid and back panels. 6-panel. Stretch fit with elasticized band. NEW ERA® taping on inside seams. NEW ERA® products may not be sold without embellishment. Adult sizes in inches: S/M (215/8 – 223/4), M/L (223/8– 237/8), L/XL (231/2 – 25).